A selection of projects I have worked on at VisionThree. Concept render of Retail floor plan and pins. Concept render of the city. Concept render of Healthcare Industry selection. 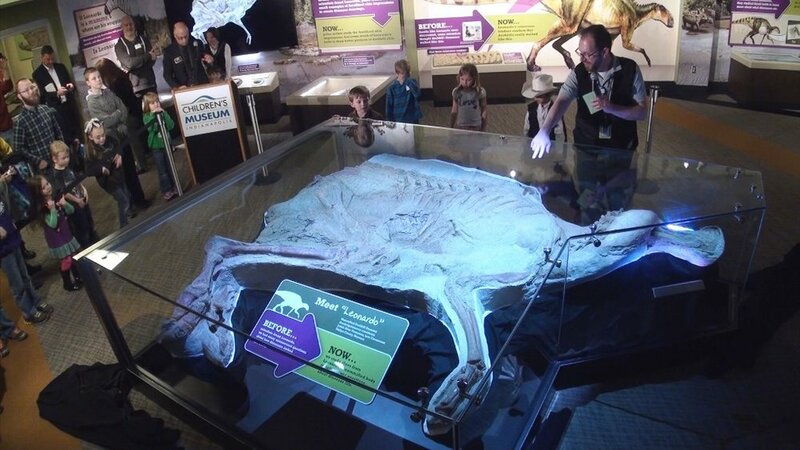 The actual Leonardo dinosaur fossil on display at The Children's Museum of Indianapolis. An early render and walk test after rigging the Leonardo model. Test render for a medical animation. All work copyright © VisionThree.